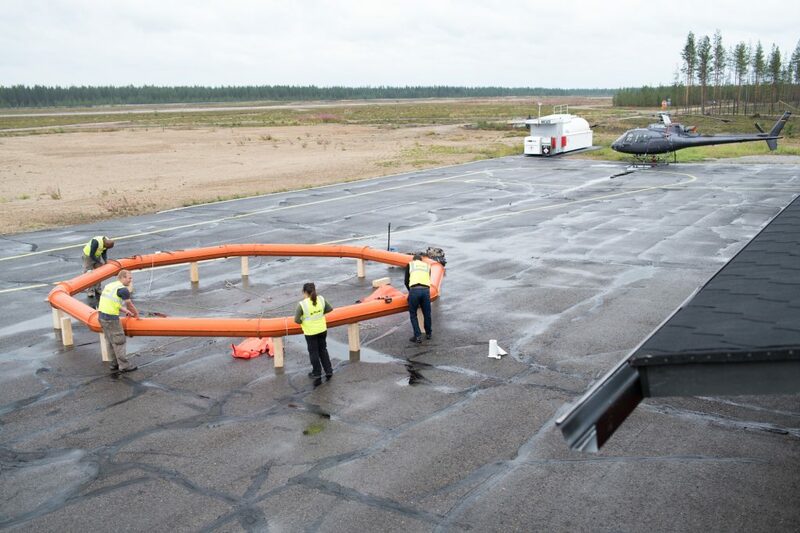 After the aeromagnetic acquisition with the Jessy Star system (Supracon) finished, Geotech proceeded to test and fly their Versatile Time-domain EM system (VTEM™ ET), but their work in Sodankylä started days before that. 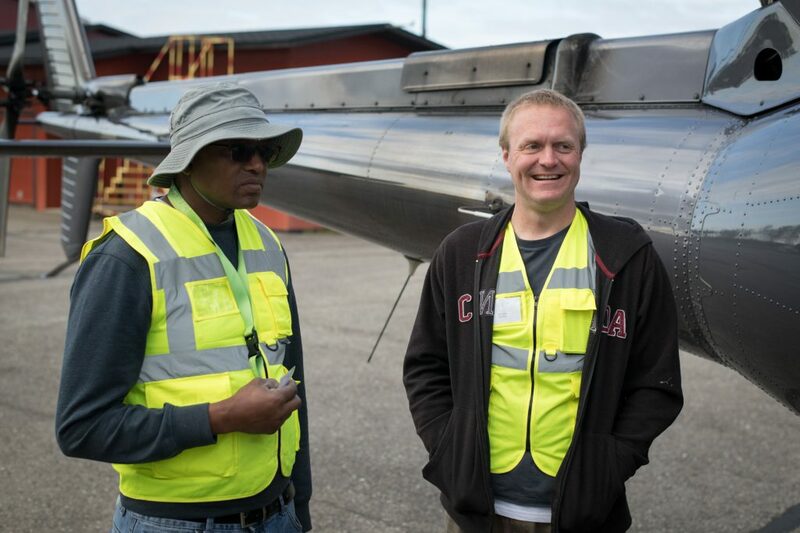 Garth, Armand, and Ben arrived in Finland the last day of July to set up and have things ready for the campaign, including supporting Supracon with their navigation system and the assemblage of the VTEM™ system. The plan for this segment of the geophysical acquisition in Finland is to acquire data using both the VTEM™ ET and the Z-Axis Tipper Electromagnetic (ZTEM™) systems. Ben (left) and Garth (right) from Geotech. Photo credit: Moritz Kirsch. Armand from Geotech. Photo credit: Moritz Kirsch. VTEM™ ET is a 17 m diameter loop, consisting on a concentric transmitter and receiver. 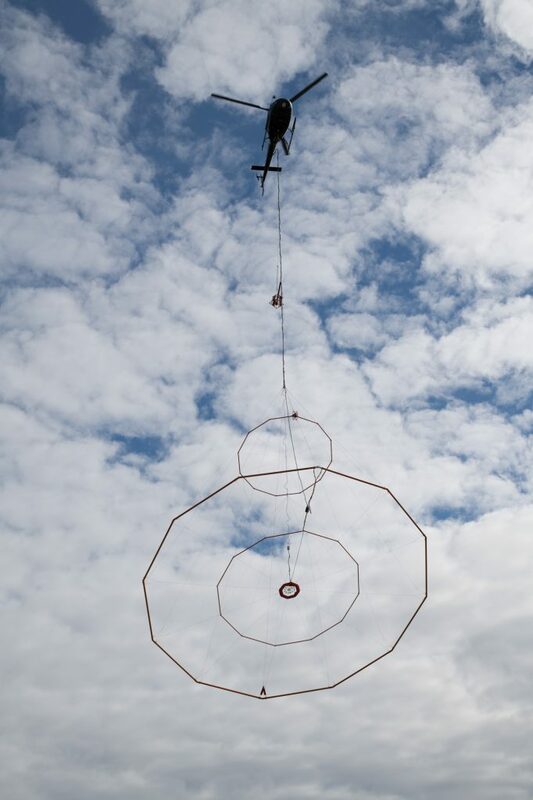 Penetration depths depend on the geology of the area, but in the presence of a more resistive top layer, it’s possible to achieve depths of around 200 m. After putting together the loop, partners from Geotech finalized the installation of their system in the helicopter and performed a test flight to check data quality. Geotech’s crew working on the mechanism to attach the VTEM™ system to the aircraft. Photo credit: Moritz Kirsch. 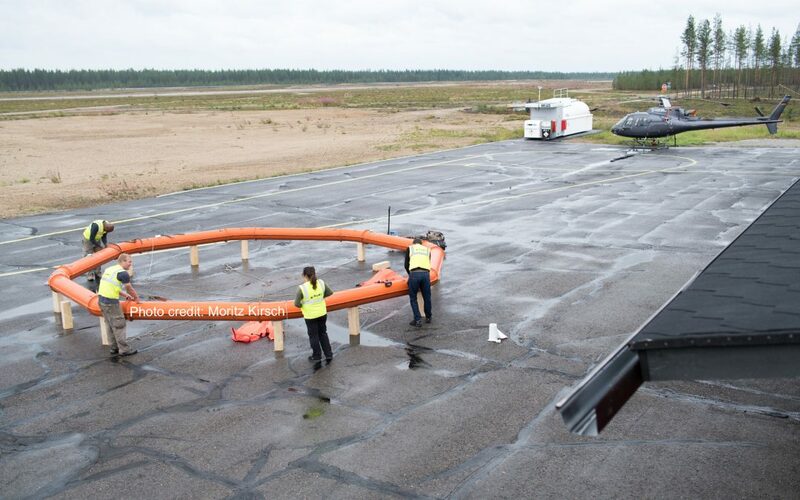 During the test flight they first checked that the geometry of the loop looked good in the air, then, they proceeded to calibration by producing a controlled pulse and observing how it was received by the system. As part of the procedure at certain moments, they fly at high altitudes, to reach a point where the response from the ground can no longer be seen in the measured data. While working with Geotech’s systems, our pilot flies with one of their operators who is able to see the different channels and how data arrives in real time, giving an initial assessment on its quality. 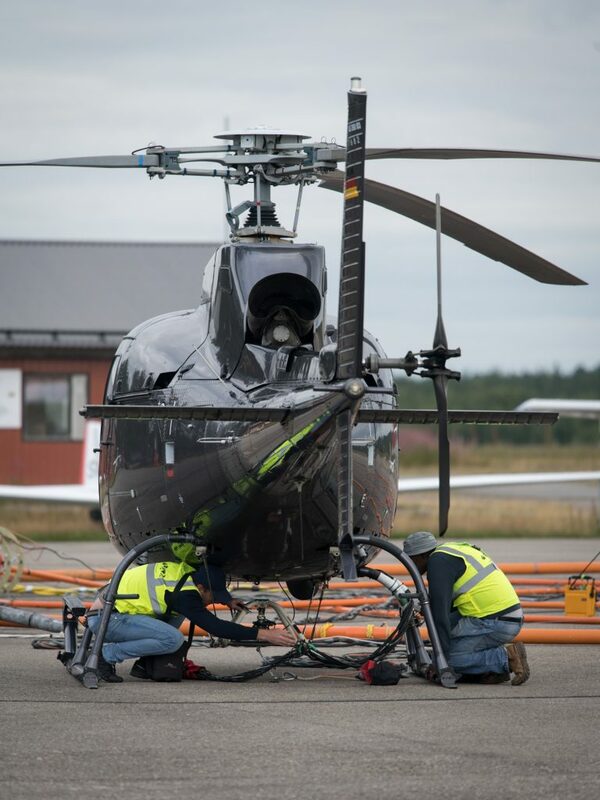 Koopmann’s helicopter taking off in Sodankylä with the VTEM™ system attached. Photo credit: Moritz Kirsch. Data acquired during calibration was sent to Canada for QC. 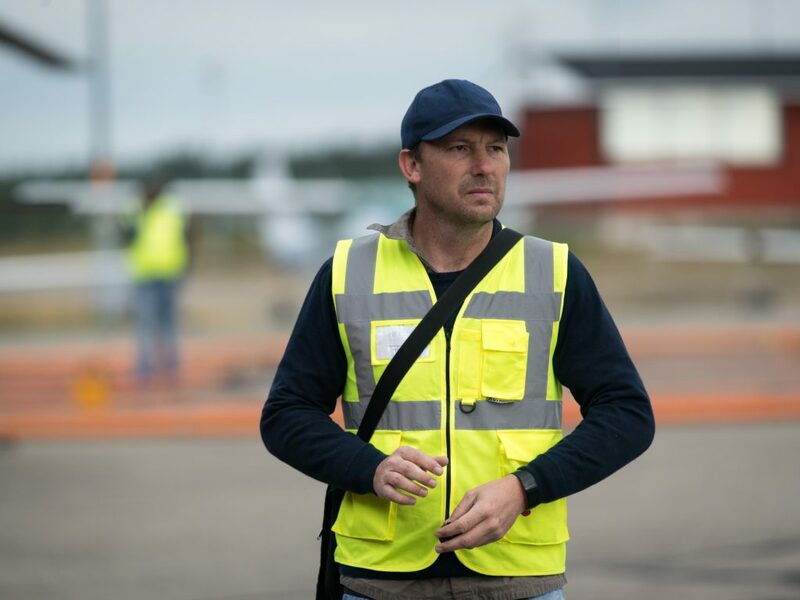 After it was deemed appropriate, production began flying a total of 189 km of data in Finland. While waiting for data approval, the ZTEM™ loop started to get assembled. Finally, VTEM™ ET data was approved and the loop started to be disassembled before shipping it to Germany. 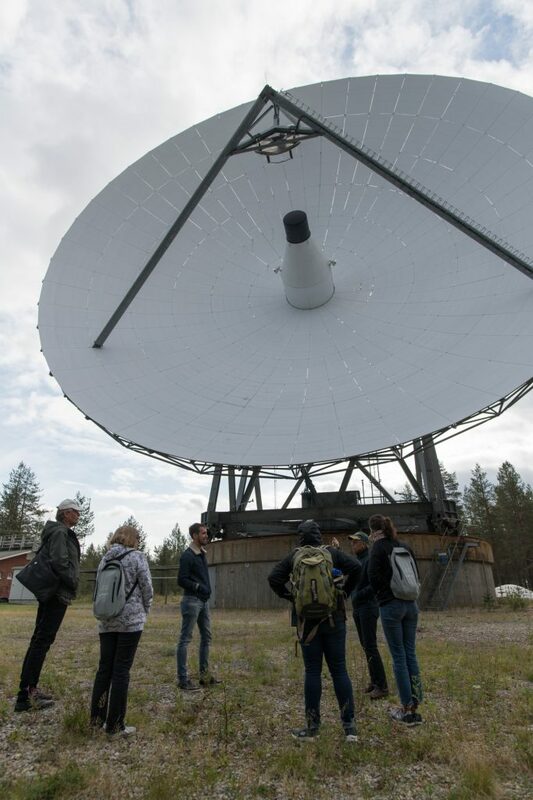 In the meantime, Elena, one of our partners from Oulu Mining School organized a visit to the facilities of the Sodankylä Geophysical Observatory, established in 1913 and an independent department of the University of Oulu. At the observatory, first measurements of the Earth’s magnetic field began in 1914 and have continued for over a hundred years. The day started with an introductory talk by Thomas Ulich, vice-Director who presented the different research lines they follow, as well as the role of the Institute in the Finnish scientific community and the world. The talk was followed by a tour guided by the director -Esa Turunen- and it finished at the Niesta Restaurant for lunch. I am really impressed by the work they do, with diverse applications from geomagnetic, seismic, meteorological monitoring, among others, but also by their willingness to collaborate with other institutions and the warm working environment. 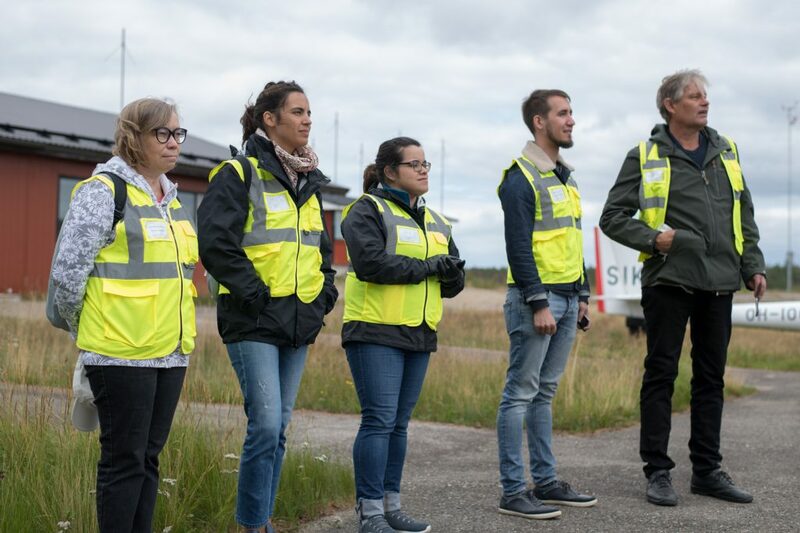 HZDR personnel and local partners during the tour of the Sodankylä Geophysical Observatory. Photo credit: Moritz Kirsch. After the visit, we met with representatives of the Sodankylä municipality working on mining projects. They discussed with our partners Juha from the University of Eastern Finland (UEF) and Panu from the Finnish Environment Institute (SYKE), best practices and previous experiences at communicating with stakeholders, establishing a valuable connection for future endeavors related to the INFACT project. Elena (OMS), Leila (HZDR), Joan Marie (HZDR), Juha (UEF), and Panu (SYKE) watching the helicopter take-off with the VTEM™ sensor attached. Photo credit: Moritz Kirsch. As we get ready to leave Sodankylä, rain has been delaying the attempts to acquire data with the ZTEM™ system. The crew was able to perform a calibration flight but its results were not approved, needing adjustments and a new calibration when the weather allows. Geotech’s crew making sure the ZTEM™ system is dry after a night of rainstorms. Photo credit: Moritz Kirsch. Our last day has been particularly bittersweet since we were looking forward to following the Finland campaign on-site until completion and at this point, we are uncertain of how the first leg of the campaign is going to unfold. After 10 days in Finland I also started to feel a little homesick, with the peculiarity of not knowing exactly where home is, or when my new town will start feeling like it. I will miss working with Garth, Armand, and Ben on daily basis: their sense of responsibility, jovial disposition, humor, team spirit, and willingness to explain things to us. Their experience and ability to remain cool, calm, and collected when things get complicated is highly appreciated and of course the stories about previous campaigns including times when the system got “pretzeled”. After the first third of the 2018 INFACT geophysical campaign, I’m taking with me the ability to work on the go, solving problems with the available resources, as well as knowing the sorts of issues we might expect in upcoming locations. We’re leaving a local team motivated and ready to keep working, opening doors to new collaborations and exciting results in both geosciences and social sciences. 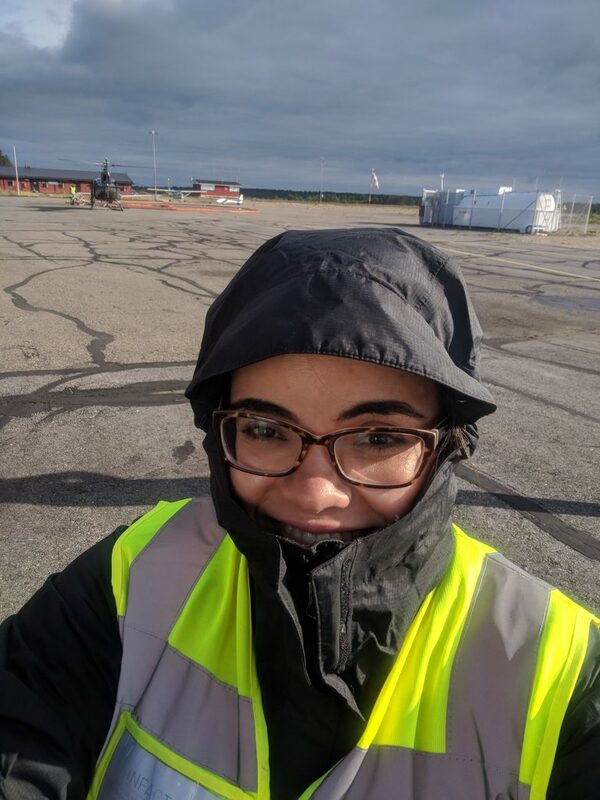 Selfie during a cold morning at the airport to close INFACT’s airborne campaign in Finland for the year 2018. Photo credit: Joan Marie Blanco. Finally, before taking our first plane, thanks to our Finnish partners for the hard work and attention, to the Sodankylä Geophysical Observatory for the tour and accommodations, and to Finland for the exciting times, beautiful landscapes, and one in a lifetime experiences. I can’t wait to start activities in Geyer and share them with you.